Alright, this is definitely not the healthiest recipe, nor is it made from whole foods, but I have to admit it’s one of my proudest creations of late. I’m unapologetic about the use of American cheese and squishy packaged bread here. This recent article from the New York Times sums it up–this is my comfort food, and, on occasion, I still love it. Everything in moderation, right? 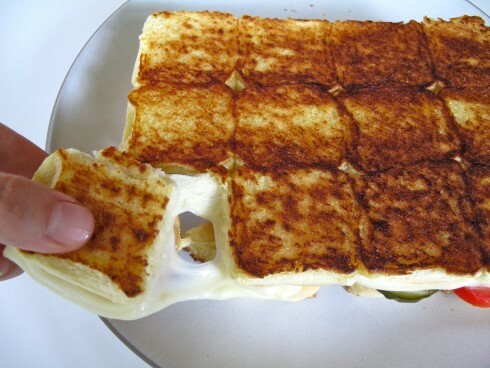 Get Grilled Cheese “Pull-Aparts” Recipe from The CreamLine.